Lighting-fast speed meets exceptional repulsion in the new NANOFLARE series. 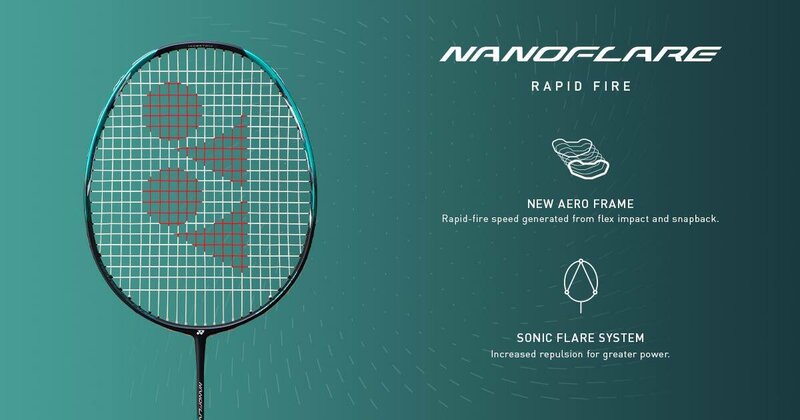 Engineered to improve swing speed and maneuverability, NANOFLARE is the first head-light racket that also allows you to access the point-winning power of increased shuttle acceleration in one design. The difference is in the technology – using the new SONIC FLARE SYSTEM, NANOFLARE combines TORAYCA® M40X, a brand-new carbon fiber developed by Toray Industries, Inc. , and Super High Modulus Graphite to take Aero Frame design to the next level. The results are unmatched stability and speed, improved repulsion performance and the precision accuracy to ace every shot. 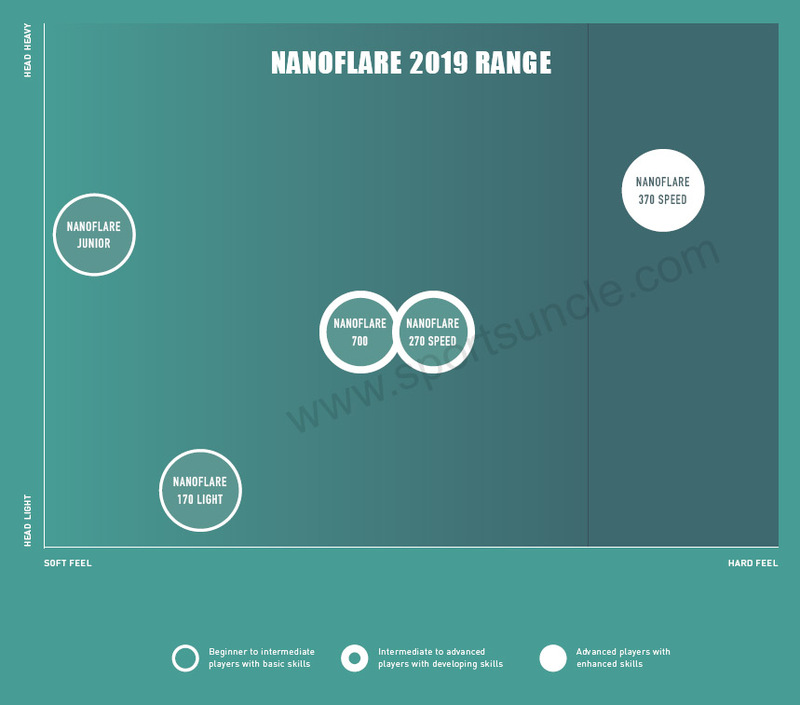 From the ground up, NANOFLARE was created to give you the edge. Sonic Flare System - The revolutionary new graphite material TORAYCA® M40X and SUPER HMG provide unrivaled power and stability for maximum shuttle acceleration in Yonex Nanoflare 700 badminton racket with Medium Flex.